If cooking is your passion, you may wish to some day become a head chef. Head chefs wield huge amounts of authority within the kitchen, but only the most dedicated of individuals will achieve this title. Head chefs wield huge amounts of authority within the kitchen, but only the most dedicated of individuals will achieve this title. A head chef is usually the chef in charge of all of the operations for a restaurant. The role of head chef can be very different depending on the type and size of restaurant the chef is working at. At smaller restaurants, the head chef may be required to do virtually everything that is required to keep the restaurant in operation. 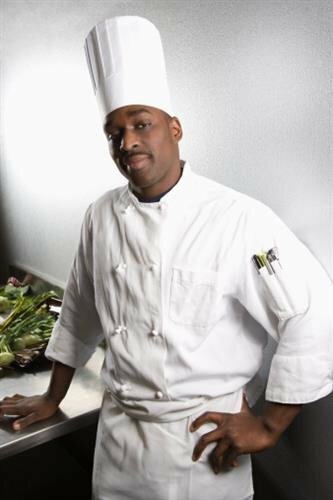 In larger restaurants, the head chef may simply oversee operations and provide input while delegating tasks. Head chefs usually have many years of experience within the industry. Many head chefs will have anywhere from five years to over a decade of experience. Head chefs usually have a degree in the culinary arts, though this is not always true of those with extensive experience. A head chef will usually have been promoted from being a chef. A head chef will usually manage the staff, inventory and kitchen. Head chefs will be responsible for hiring and firing staff members in the kitchen as well as promoting more talented staff members. Inventory will need to be taken often to both ensure that the right items are kept in stock and that the items are still safe to be served. Head chefs will need to be very conscientious and to make sure that everything is running smoothly during food service. They may also need to jump in if chefs become burdened during food service. It is usually the head chef’s responsibility to ensure that proper safety standards are met and that the food served is safe for consumption. The head chef will also often create the menu for a fine dining restaurant. Other restaurants may have set menus or may have menus that are designed by the executive chef. As noted by the Bureau of Labor Statistics, head chefs will also be required to successfully delegate tasks. How Do You Become a Head Chef? Becoming a head chef is usually a matter of experience and talent. A head chef needs to show their employer that they are extremely diligent and that they can manage other staff members successfully. It is not enough for a head chef to simply be good at cooking. Many head chefs also need to manage the financial aspects of the kitchen and need to be extremely good at organization. A business owner is usually looking at a head chef to both provide quality food and to keep costs down. Most head chefs will need around a decade of experience if they are to perform in the best restaurants. Head chefs can also be promoted in smaller restaurants and then move up the ranks. Regardless, a head chef usually does need some form of culinary training. The techniques that are used by head chefs are extremely comprehensive. How Do You Advance as a Head Chef? A head chef can either become an executive chef or own their own restaurants. Head chefs are already extremely advanced professionals. Executive chefs manage not only a single restaurant but often multiple restaurants. They usually do not need to deal with the day-to-day operations of any one restaurant but rather deal with the quality and expectations of all of the restaurants together. Head chefs can also open their own restaurants if they become popular enough and if they are known within the industry. Networking and consistent professional work will be helpful in both fields. According to O*Net Online, the field is expected to remain relatively stable.